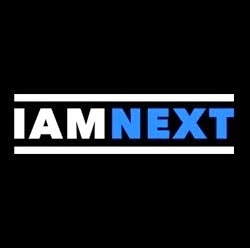 "4 is the vibe and the I is the vision"... 4i is a rapper, singer and songwriter, who was most definitely my favourite on the I AM NEXT line-up. I asked 4i to tell me the meaning behind his name and how it represented himself. "4 is the vibe and the I is the vision", which he then explained to mean that the number '4' has positive vibrations and the letter 'I' means to be aware of everything around you, with a level of enlightenment and a level of consciousness. Establishing this made me think about my perception of great music. Positive sounds and lyrics are crucial for me to hear whilst knowing that artist in question is also aware of his/her surroundings and environment when they are pursuing their different situations throughout their music. 4i does this! Consistently! 4i then told me that he is not trying to express a level of consciousness, however he is trying to emancipate people to a particular degree, where he can inspire people to think for themselves, be happy with the skin that they are in and to simply allow people to be themselves, without being pressured or feeling like they are going to be judge. Knowing that 4i is attempting to express these feelings to his audience is exquisite. Artist like 4i are becoming extremely rare in the UK rap scene, which is an ultimate shame. I believe that too many listeners are blindsided by the underground street trash that is rapidly being circulated throughout the UK. Let 4i be your breath of fresh air! SOUL RICH is 4i's latest EP, he told me that his listeners can expect good vibes and positive music, from Soul Rich, with some conscious messages. So make sure you check it out! When watching 4i's 'Soul Rich' music video, you will notice that a whole bunch of people wearing gold mask. I asked 4i about this; he explained to me that the gold mask was an idea that came from another member of the Paradime collective. 4i's gold masks are described as an mascot of being Soul Rich, his masks have been used throughout the Soul Rich journey and is generally a representation of the EP. 4i also decoded his meaning behind his EP title, allowing me to understand that Soul Rich is all about self worth. We discussed his thoughts on the materialistic world we are living in and he feels that Soul Rich exemplifies self value. Finally i asked 4i when he fell in love with rap. He told me that he was around the age of 13/14 and he was on the computer making and playing with beats, he was looking through his fathers CD collection in order to find something to sample, when he came across KRS One - Criminal Minded and was 'blown away'. He then wrote his first verse and attempted to create his beat and from that day he fell in love with music. 4i took to the stage with great presence. My favourite track performed was his 4th Eye (Freestyle), where he had his audience including myself greatly applauding. I look forward to 4i's huge success! Watch out for more blogs and interviews with Anjelo Disons, OH, Jae Poet, Nadia Rose, Che Lingo and more!